A work of Japanese genius illustrator Shiro Tatsumi who ran through the 20th century. Shiro he was Japanese gratest illustrator at '60~'70. He got many advertising awards of Japan at those days, for example were "Nissenbi Awards"(Japan Advertising Artists Club Awards:1951-1970) and so many other. Those years, we world people had just exeprienced of the Vietnum war, we had be shocked from those battles and had disappointments. Because of couldn't stopped with our anti-war actions, and desire of not having been stopped. We Japanese people understood to do nothing for working to get peace in our earth by ourself, of course Mr.Tatsumi had thought to regist against the war. Because, he had experienced The world war 2nd. at child days in Tokyo as a painful desire. And he worked challenging against the wall that everything we felt disapointments aggressively. Unfortunately he died at 2003 with his sick. But he leaved so many works that called "Shout, and Anger!". We introduce you his many artistic works. These are his "shout". Thank you for your coming!. Shiro Tatsumi was born at Shimomeguro Meguro-ku Tokyo in 1938. 1946, he moved to Shiga prefecture Echigawa that is home of father, after World War II. 1947, Shiro's father death of illness, he returned to Tokyo. 1957, he entered Waseda University the first Department of Law and joined the art society. 1959, he won the Gold prize in contest of Waseda festival poster pamphlet cover. Shiro knew Mr. Yusaku Kamekura, he was the judge of meeting designer. And Shiro knew the occupation, Designer. 1961, Shiro graduated Waseda University and he entered the Musashino Art University regular course commerce design at the same time. 1962, Shiro was selected "Nissenbi Awards"(Japan Advertising Artists Club Awards) for the first time. He was selected continuously "Nissenbi Awards" until 1965. 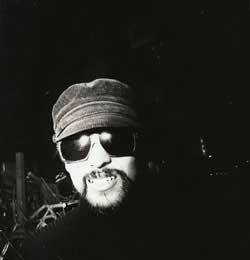 And he graduated Musashino Art University of the same year and joined Dentsu. 1966, "Kafka complete volume, umpire" was chosen to be "Nissenbi Awards Special" selecting. 1967, 4 works including "Secret passage of the pope agency" were chosen to be "Nissenbi Awards Special", other 2 works were selected "Nissenbi Awards". 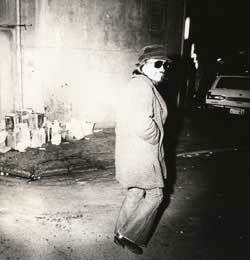 1968, Shiro leaved Dentsu office and he became free. 1972, he won the ADC(Tokyo Art Directors Club) prize silver by "Dispatch soldiers" illustration. He announced a lot of works in the field of the advertisement and publication since then. He especially worked as a book designer on the mystery novels in later years and a lot of writers and fans are enchanted as an authority. Shiro died by the cardiac failure on November 5, 2003. Age at death 65 years old.